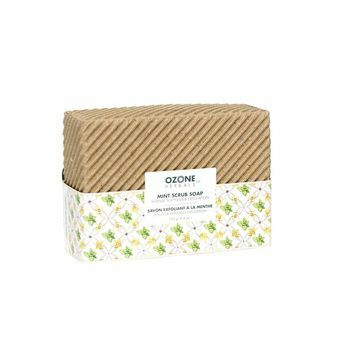 Ozone Herbals Mint Scrub Soap refines and softens skin, gently exfoliates and removes dry flaky skin. Stimulates and improves blood circulation. This scrub soap refreshes, tightens pores, polishes and balances skin. It helps to cleanse and purify skin, allows deeper penetration of other skin-care products. Explore the entire range of Scrubs & Exfoliants available on Nykaa. Shop more Ozone Herbals products here.You can browse through the complete world of Ozone Herbals Scrubs & Exfoliants .